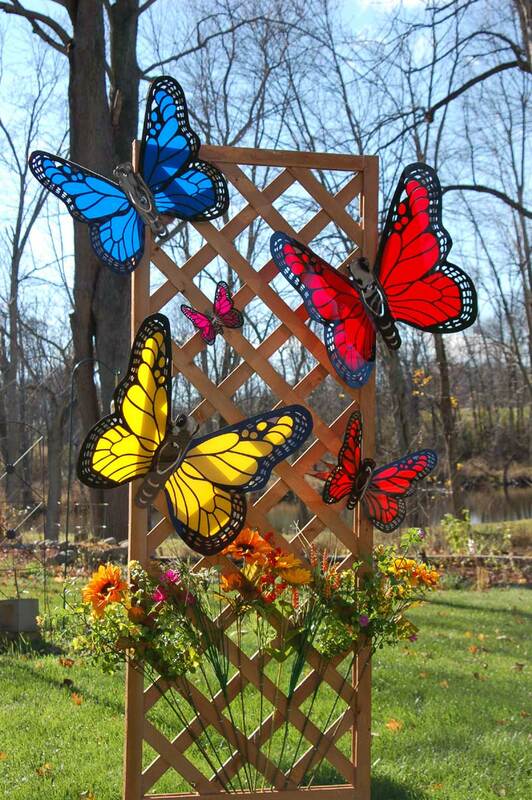 Great Lakes Butterfly Co manufactures acrylic butterflies in a variety of vibrant colors and sizes in Sparta, Michigan to beautify your yard and garden! Every butterfly is handcrafted with care and the highest quality, longest lasting acrylic and inks are used. Owner Jill Mahaney is committed to providing products anyone would be proud to display. The butterflies mount on your house or garage, fence, lattice – or use suction cups to stick to windows. Optional stakes are available for free-standing display. Butterflies are a great way to decorate your house, garage, yard or garden. They are colorful and eye-catching!